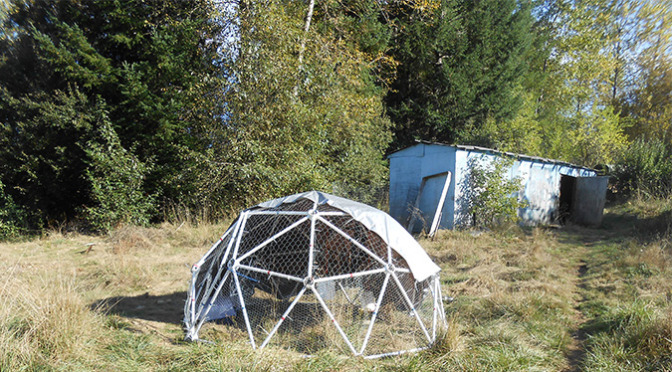 This afternoon I finished the project I’d wanted to finish last week – the geodesic chicken coop from Zip Tie Domes is finished! After working on the dome the last time, I still needed to finish covering it. 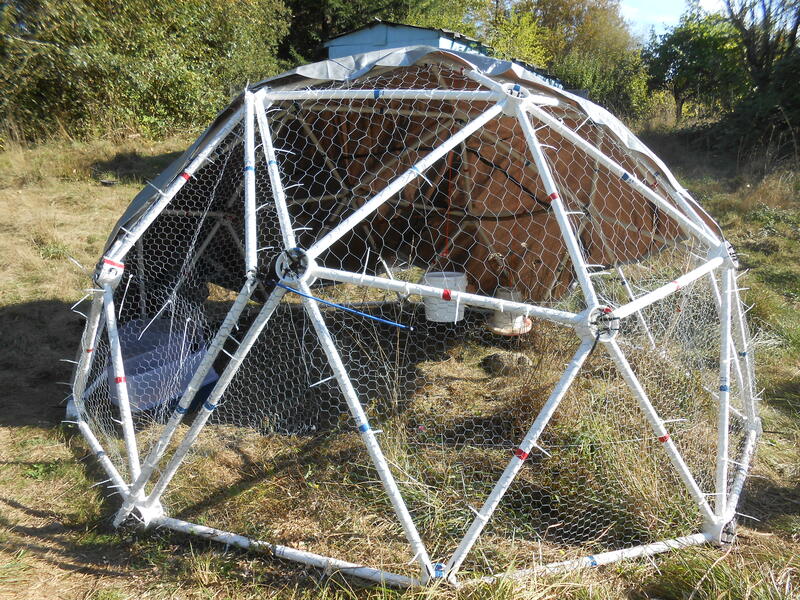 That meant getting the dome covered in chicken wire, adding a tarp, perches, hanging the food and water, and including the nest boxes. It takes a while to add the chicken wire. 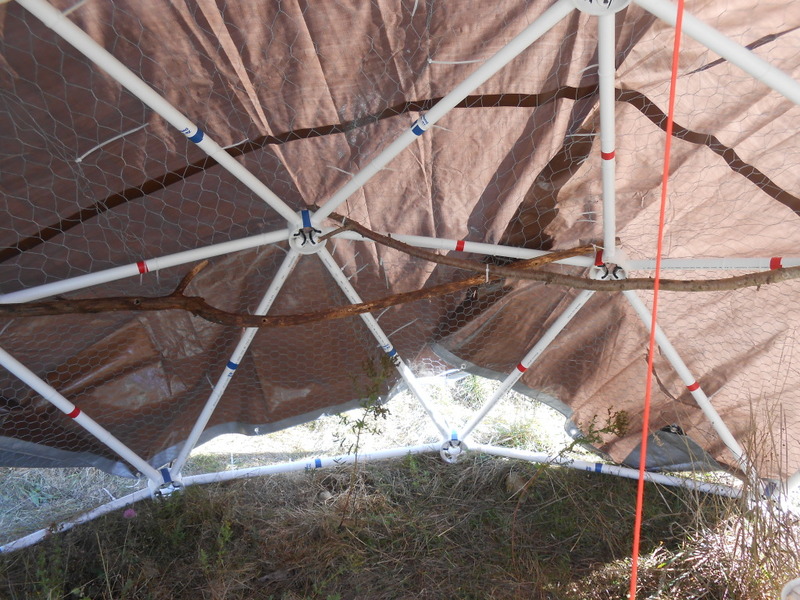 The folks at Zip Tie Domes estimated something like three hours and recommended having help. That would have made it easier. We opted to use a 2″ wire for the upper parts and 1″ for the lower. I worked on it a couple times and had the lower level done and part of the upper level covered. 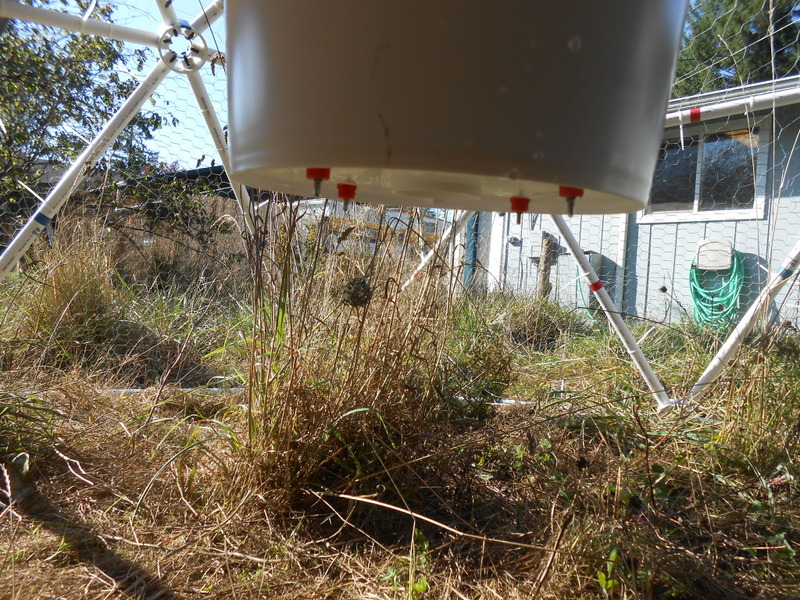 Today I spent a couple more hours covering the rest and using zip-ties to fasten everything in place. Next up was adding the perches, food, water, and nest boxes. I have a few other details still to add. Anchors, to make sure it doesn’t blow over, and handles so that it’s easier to move. The tarp I bought was larger and covers more of the dome so it’ll have to be unhooked along the bottom to reveal handles once they’re added. After a few days to get used to the new coop we’ll start letting the chickens roam again. 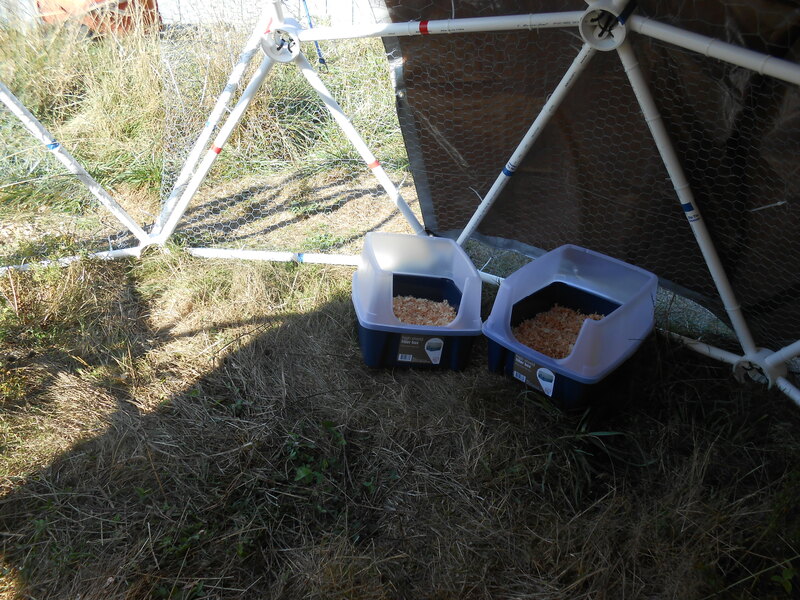 The coop will move around the property a few feet at a time. Maybe weekly, we’ll see. The main thing is just not leaving it in one place for too long. The old shack/coop will eventually come down and be removed, but that’s a project for another time! Woolly Dragon Farm, Proudly powered by WordPress.